IntLawGrrls: Who was the woman? The Virginia Historical Society has announced its 2011-12 Historical Mystery Prize. The person who best solves the mystery wins $1,000. 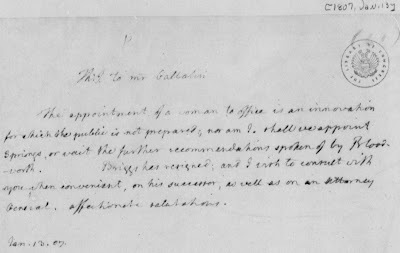 The problem we pose for 2011-12 concerns a Thomas Jefferson letter. We do not know the answer. Perhaps it is an unsolvable mystery, but perhaps you can find an answer that makes sense. The person who submits the most cogent explanation by May 1, 2012, will receive a check for $1,000 at the annual VHS awards luncheon in July. 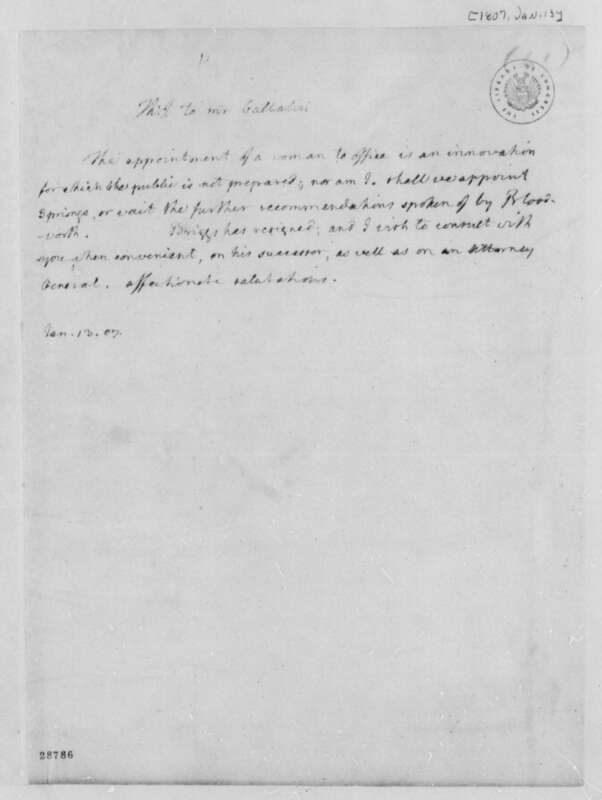 On January 13, 1807, President Thomas Jefferson included a cryptic comment when he wrote a letter to his treasury secretary, Albert Gallatin. 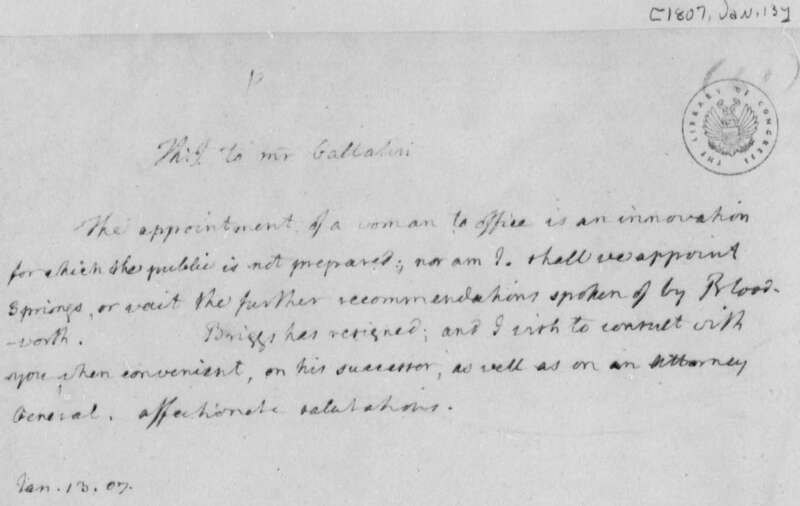 The relevant passage in the president's letter reads, "The appointment of a woman to office is an innovation for which the public is not prepared, nor am I."